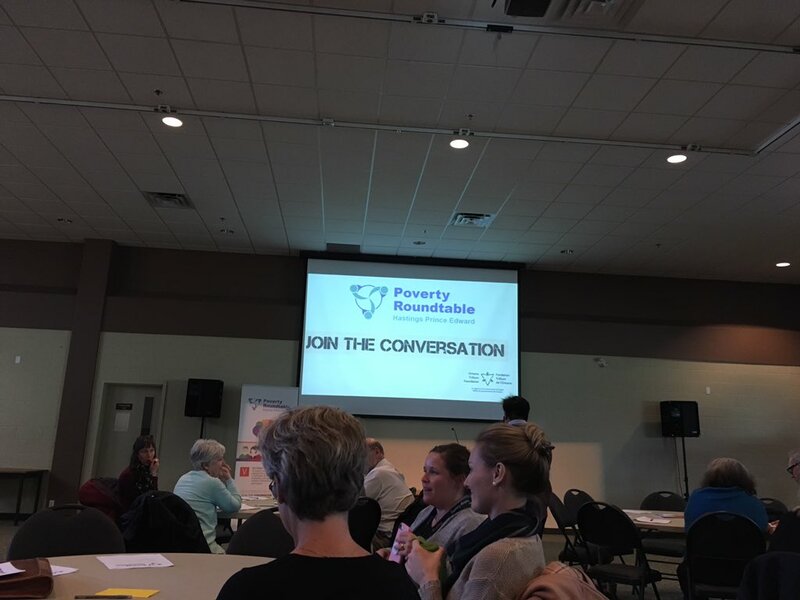 BELLEVILLE – The Hastings-Prince Edward Poverty Roundtable released a report on Tuesday about poverty’s causes and solutions in this area. 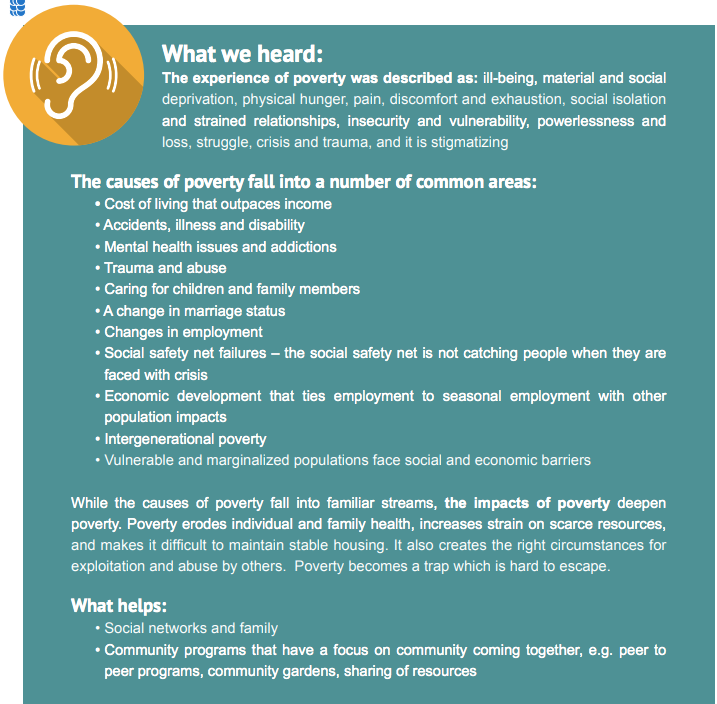 The report contains information gathered when members of the roundtable spoke with over 400 people who have experienced poverty, or are currently in that situation. Christine Durant, director of the organization, said the report is one of three that will be shared with the community. The report is a reflection of the feedback the organization received from the public, she said. “One of the things we hope it does is help our community understand poverty and bring us together, rather than segregate and separate us,” said Durant. Talking to those who have experienced poverty themselves is the best way to find solutions, she said. Loretta Tweed of Belleville shared her story of having a hard time making ends meet. For instance, Tweed said, she wasn’t able to afford a bus pass this month. Durant says there are different forms of poverty, and that she wants people to come together and understand what those forms are. Tweed gave a personal example of this. She suffers from anxiety and depression, has a son who’s struggling with a mental-health issue, and had a daughter who died. “It’s helpless sometimes, and you feel hopeless,” she said. The goal of the report is to help the community better understand how to address poverty in the community, and make changes in the right direction. Kimberly Ann Robertson, a volunteer with Nightlight, an organization that offers a safe space twice a week to those in need, said she believes improving communication would help those in poverty. With files from Community Conversations on Poverty in Hastings Prince Edward. "You are treated differently when you're working and when you're not," says a Belleville local who is currently living in poverty. "I'm constantly living in fear, how and when am I going to eat? How am I going to get it?"